Along with a nationally recognized faculty and support staff, you will find a number of “super mentors” gracing the halls of Robins. Typically, we host three Executives-in-Residence per year. These C-suite-level individuals meet with students, getting to know them and giving them advice. Participating executives have included corporate presidents, CEOs, vice presidents and other leaders of the business world. John Adams has spent 41 years at the The Martin Agency, an award-winning advertising agency based in Richmond, Virginia. The agency has been included on the Advertising Age "A-List" five out of the six years it has been published and most recently, The Martin Agency won an Emmy for an interactive documentary created for the John F. Kennedy Presidential Library and Museum. John plays a key role on the team that continues to bring national attention to Martin, representing such brands as Discover Financial Services, GEICO, Mondeléz, Walmart, Hanes, Kraft Foods and BFGoodrich. John is an active leader both locally and nationally. He is chairman of the board of directors at Virginia Commonwealth University's Brandcenter, and also serves on the boards of the John F. Kennedy Library Foundation and the Smithsonian's National Museum of American History. He is a past rector of Longwood University and has served on the boards of the Virginia Museum of Fine Arts and the Virginia Historical Society. A member of the Virginia Communications Hall of Fame, John lectures frequently on marketing and business issues throughout the United States. Katherine Busser is a seasoned executive in the financial services industry with almost 30 years of general management experience leading large scale transformational change in business, operations and technology. She is currently an “Executive in Residence” at the University of Richmond’s Robin School of Business. In addition, she is a consultant to community and volunteer organizations. From 2014 to 2016, Busser was the CEO of the Virginia Children’s Hospital Alliance. This non-profit organization was a partner in the efforts to create a freestanding independent children’s hospital in Richmond, VA. 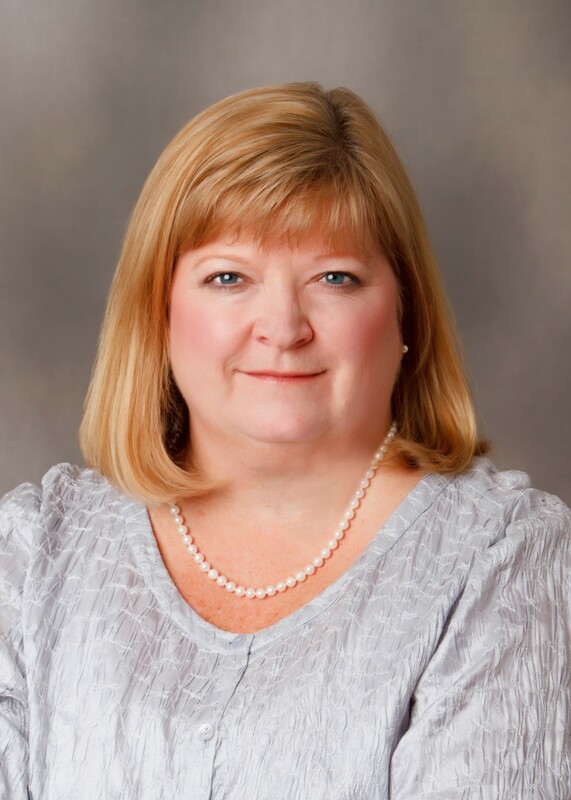 Prior to this role, Katherine was with Capital One Financial Corporation for 18 years and served as Executive Vice President and Central Virginia’s Market President. She joined Capital One in 1996 and during her tenure she was responsible for major business units in the Card, Banking and Risk Management divisions. Her experiences include managing Capital One’s Credit Operations, Direct Marketing Operations, Chief Information and Chief Risk and Infrastructure Officer for the Card Division, Chief Operations Officer for the Commercial and Retail Bank & Head of Enterprise Payments. Most recently she served as the Chief Operational Risk Management Officer for the corporation. As Market President, she was responsible for directing the strategy for community and business development in Central Virginia. Ms. Busser was a key leader in the transformation of Capital One from a small credit-card spin-off entity to a Fortune 100 Corporation and 5th largest bank in the country. The company is nationally recognized for its creative marketing, culture of best places to work and a strategic focus on innovative products and great customer experience. Prior to Capital One, Katherine spent 10 years in the insurance industry as a State Product Manager for the innovative Progressive Companies. Katherine is an active member in the community, with a diverse set of interests that includes education, health care, financial literacy and economic development. She currently serves on numerous boards including the Longwood University Board of Visitors (Host of the 2016 Vice Presidential Debate), the J. Sargeant Reynolds Community College Foundation Board, the Capital Region Collaborative, the Partnership for Nonprofit Excellence, Smart Beginnings and the Greater Richmond Chamber Foundation. In addition, she serves on the Board of Directors for the West Cary Group. She has previously served as Rector for Virginia State University, Vice Chair for the Virginia Early Childhood Foundation, Chair for the American Heart Association’s Go Red for Women, President of the Greater Richmond Chamber of Commerce, Chair of the Capital Region Collaborative, President of the YWCA, President of the Greater Richmond Partnership, and Vice President of the Maymont Foundation. She has served on the Boards of VCU Health System, University of Richmond’s Robins School of Business, Junior Achievement, and the United Way. She is also a past board member on the Board of the Virginia Bankers Association and The Clearing House Payments Company, LLC. Katherine grew up in Virginia, received a bachelor's degree from the University of Virginia and resides in Richmond, Va., with her husband and two children. In addition to his role as Entrepreneur in Residence, Mike is co-founder and principal of RunRate, LLC, a financial and strategic advisory firm; co-founder and managing partner of Gum Tree Properties, a commercial and multi-family property roll-up; and co-founder and co-managing partner at Trefoil Ventures, a multi-brand retail, e-commerce and investment company. In his advisory capacity, Mike helps early-stage and high-growth companies in Central Virginia execute capital formation and growth strategies. Mike’s entrepreneurial career began as co-founder of Valor Communications Group, a U.S.-based telecommunications company that grew to $500MM in annual revenue before listing on the NYSE and subsequently merging with Alltel to form what is now Windstream Communications. Subsequently, Mike co-founded Soundpath Teleconferencing, which was sold to Premier Global Services. 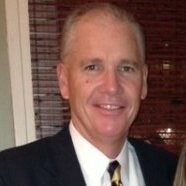 Mike’s executive experience includes serving as CFO of Clearwire International in Vienna, Austria, and as senior vice president, telecommunications and data services, for Insight Communications, in Louisville, Ky.
Mr. Page earned a bachelor's degree from Hampden-Sydney College and an M.B.A. from the University of North Carolina at Chapel Hill. As a Senior Executive he built a reputation for successfully navigating uncertainty and leading organizations through major transformational change. Not only does he understand the challenges faced by senior and emerging leaders in the public and private sectors, he has direct experience in many facets of a business ranging from sales and marketing, to finance and operations. Today, he leverages this extensive experience to provide a shorter path to success and prosperity for leaders, teams, and organizations. Through advice and collaboration he helps them to identify and resolve the toughest challenges related to growth, profitability, and workforce productivity. Develop business plans that meet diverse organizational, operational, financial and market challenges; successfully revitalize underperforming businesses in public and private sectors, and across multiple industries. Introduce methodologies and develop behavioral expectations for sales leaders and individual contributors that significantly impact activity and revenue growth. Communicating often with all stakeholders and employee in a clear, direct and energetic fashion that establishes trust and maintains high levels of engagement by focusing on the humanistic needs of all. Coach and mentor managers, leaders and high potentials to retain top talent by encouraging growth, enhancing performance, and aligning their career goals with those of the organization. Guide organizations through tumultuous change related to acquisitions, consolidations, dramatic financial improvements, and restructuring in support of business plans and long-term strategic vision. Build collaborative executive leadership teams that can achieve full consensus and buy-in to support new initiatives and manage internal change. Smoothly integrate newly acquired businesses and engage employees in a unified culture.